I'm just curious which character in YuGiOh you would like to go out with and why. For me I would obviously choose Yugi-kun because he's close to my age, we have alot in common (we've been bullied in school, we love games, we both like to eat hamburgers, we're unique, and I always get Yugi in all the YuGiOh character quizzes I take). He is very sweet and he's almost like a friend to me. We would have lots of fun, playing games some of the gmes he likes, me showing my art to him, and I would be there if he was sad. There's just too much fun to be had with Jonouchi. And I could teach him how to drive properly. Hell I'd go out with all four of them at the same time. Yami Bakura. :3 Not the thief king version of him though. I think my little sister has a crush on Ryou-kun. (she's 12) For some reason I can see her choosing him as her favorite character. We were watching the episode where all the characters were their favorite cards, and when she saw Ryou as the Change of Heart angel, her face just lit up all cute the same way I am when I see a cute thing with Yugi or Yami. I'm too old for her now but Serenity is just so precious. She's someone I could imagine being friends with in real life. Mai is the kind of chick I'd look to date cause she's so free spirited. DUH Seto kaiba. <3 How could you think otherwise? 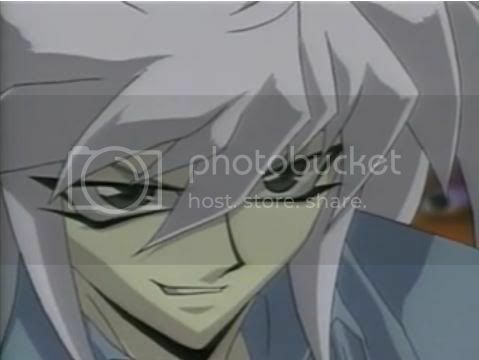 Well...lets see....i guess Bakura, Who wouldn't want to go out with him. Does that include GX, 5DS and Zexal? Dark Magician Girl... I guess.. It'd be Bakura for me. He's dark and sadistic and seems to be into knife play. I'd enter a master/slave contract with him any day.